The Gurgaon Plant is located on old Delhi – Gurgaon road , 6 kms from Indira Gandhi International Airport , Delhi, in Haryana State at 90 acres of land (0.36 million sq. mts ). Out of this the plant is setup in approx 65 acres of land. 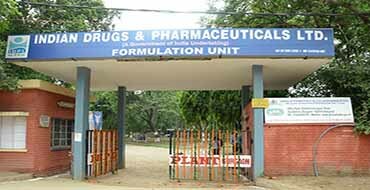 The plant, commissioned in 1979 , has production capacities for wide range of formulations like tablets (1296 million nos.) , liquid orals (396 kilo liters) and dry syrup (36 lakh bottles). This plant is also having large capacity to manufacture Oral Contraceptive Pills. ( OCP ) and has been a regular supplier of Oral Contraceptive Pills to Ministry of Health & Family Welfare over more than last twenty years. These production facilities are fully supported by good Quality Control Department. It has an Effluent Treatment Plant (ETP) and a Formulations Development Research Laboratory. There is also a township with 128 flats having other facilities.